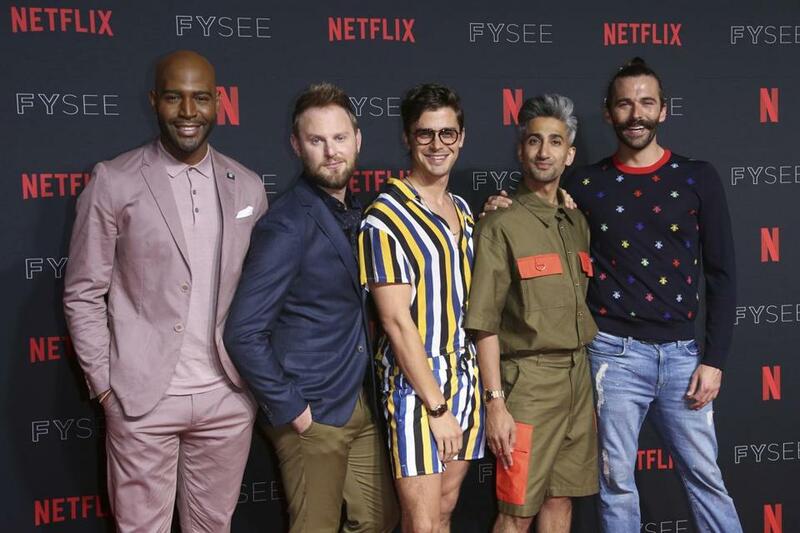 Tan France (second from right) along with fellow “Queer Eye” cast members (from left) Karamo Brown, Bobby Berk, Antoni Porowski, and Jonathan Van Ness in LA last year. Tan France, the fashion expert from the Emmy-winning Netflix show “Queer Eye,” will be in Boston to promote his new memoir, “Naturally Tan,” at the beginning of June. In his book, France writes about growing up gay in a traditional South Asian family and tells the story of how a Mormon cowboy from Salt Lake City became his husband. The event, hosted by the Harvard Book Store at the Back Bay Events Center on June 6, is already sold out. Who knows? Maybe France can stick around for a little while and lend his skills to folks who need their fashion elevated.